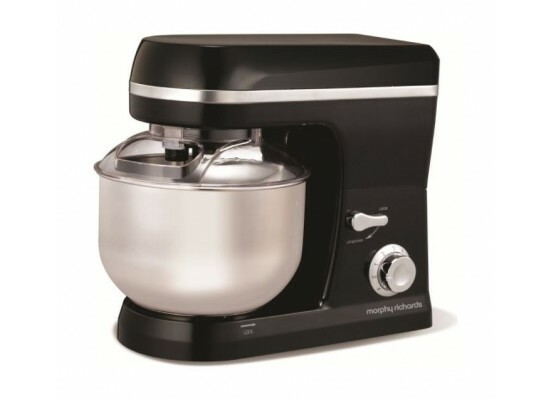 The Morphy Richards Accents Stand Mixer combines high-quality and design. Designed for ease of use, with the added benefit of being lightweight and easy to maneuver. 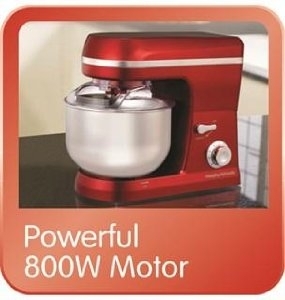 Featuring a powerful 800 W motor and six speeds the Accents stand mixer is capable of effortlessly preparing mixes, batters, and dough for baking or even homemade sauces, dips and mashed potato. 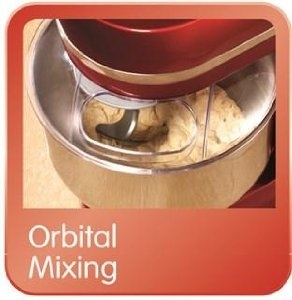 The Accents Stand Mixer features an orbital mixing motion, which means that as the chosen attachment spins, the motor head turns in the opposite direction ensuring that all of the ingredients are incorporated and mixed thoroughly. 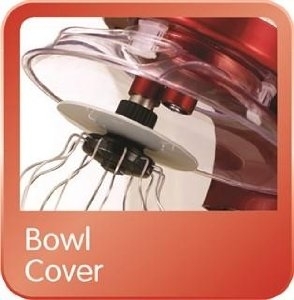 A mixing bowl splash guard also ensures all of the ingredients remain in the bowl during mixing and do not splash onto the work surface or up the walls. 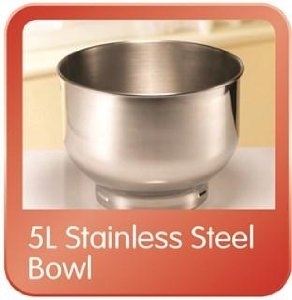 It also stops any dust collection in the bowl meaning your mixer is always ready to use. Six speeds and pulse setting for quick and easy preparation with desired results to suit your recipe requirements. The Accents stand mixer comes complete with a large 5 L stainless steel mixing bowl. The mixer also comes with an array of attachments including a dough hook for homemade bread and pastries, a beater for cake and cookie mixtures and a whisk for meringue and icing.